I’m still not really sure about Violet Trefusis as a writer; nothing I’ve read so far (in all the two and a half books I’ve got through) has proved as interesting as her personal life. 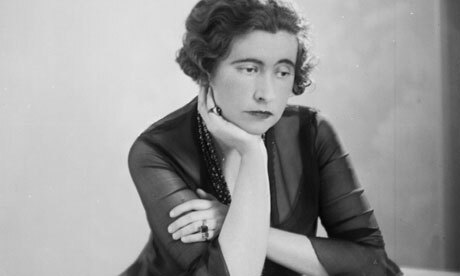 She’s probably a better writer than Vita Sackville-West (the personal life again, but this is how I heard of Violet and why I eventually picked up one of her books, that and it was a virago classic) but given my track record trying to plough through Vita’s books that’s faint praise. Doubts aside ‘Hunt the Slipper’ is the best Trefusis I’ve read so far (more faint praise but I will definitely have another go at ‘Pirates at Play’ after this). If you don’t care for spoilers it might be as well to stop looking now, this is a book to read to find out why and how things happen, the plot is a fairly pedestrian man meets girl and then it starts to go wrong affair. Nigel Benson is, at 49, an aging sybarite who has set up home with his sister Molly. They live happily enough together, she has her garden, he has his food, his house in perfect taste, and his bibelots, along with the occasional elegantly conducted flirtation – although to Molly’s relief these are becoming less frequent. Social duty takes them on a visit to the Crome’s; Sir Anthony and his young wife Caroline, Caroline is shockingly rude and that would be the end of it except that the four meet again in Paris. It’s at this point that Nigel begins to see Caroline as attractive, and sees she’s in love with another man. Bad luck for Caroline that other man turns out to be a bounder and she catches flu. Bad luck for Nigel because he keeps her company whilst she’s sick and falls in love with her. Caroline is able to return to England without a backwards glance, but poor Molly is left to drag Nigel around Italy in a forlorn and tortured state. On the whole it seems to agree with him though because he returns home lean and fit. Meanwhile Caroline and Anthony have been travelling around Italy too where she’s become increasingly restless and increasingly attached to her memories of Nigel. All the while a delicate game is being played out in letters. When they finally do meet again an affair is quickly begun but Nigel is plagued by jealousy and insecurity regarding his age. Caroline in turn is totally ruthless in emotional matters and given to the grand gesture. She wants to marry Nigel and bear his children, welcomes the possibility of a scandal, longs to work and struggle and live (in the way that people who never have had to work or struggle do) and has no compunction when it comes to leaving her existing husband and child. For Nigel the choice is harder (for some reason Molly never figures in the equation although an elopement would render her homeless as well) Caroline would mean the loss of Ambush, the house that Nigel loves to the point of worship, it would also mean the worst kind of betrayal of his friend Anthony who can be urbane about a discreet affair but would be devastated by open scandal. It’s also clear to Nigel that when the time comes Caroline will be able to leave him just as easily to move onto her next adventure leaving him with nothing. There are echoes of Violet’s affairs here but interestingly I think both Nigel and Caroline are self portraits. 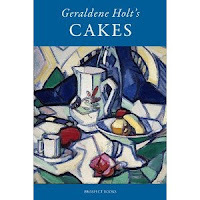 The introduction and afterword are both fairly insistent that Nigel is Violet as she was by the late 1930’s when this book was written. I don’t doubt that Caroline is Violet as she was in her early twenties before she discovered that the world might not be well lost for love. Had this been another rehash of past events the only interest would have been prurient, but the sense that it’s all Violet made it work for me. My sympathies were with Nigel, I think Violets were with Caroline a lot of the time but without doubt (this time) it’s an honest and intriguing exploration of the game people play in love. But back to the book which Tom Jaine very kindly sent me a little while back. Tom runs Prospect books which made me particularly curious to see what his contribution to the English Kitchen series would be like – it’s a more than worthy addition. (I have vague intentions of doing a Prospect week which whether it happens or not is a testament to my love of this publisher.) 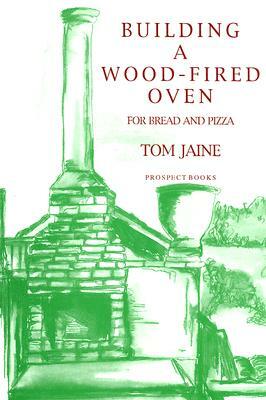 Because wooden floored flats aren’t ideal homes for wood fired ovens I always intended to pass this book on, but having spent a happy few hours absorbing information I’m ridiculously unwilling to part with it (the chance that dad will deliver is reconciling me to the idea, but still). The instructions for building mercifully leave nothing to the imagination and are pitched at the amateur which made me feel like I could genuinely have a go at doing this myself (I think it would be fun which is not a feeling I’ve ever associated with the prospect of brick laying before). What really excites me though is the history and culture of these ovens, that and getting a thorough understanding of how they work. It’s not so much that the doings are complicated although every individual oven will have its idiosyncrasies which would take time to learn and master, and I suspect that the bit where you transfer stuff into the oven and in turn extract it would take quite a bit of practice, but that they are so old. Bread – when it comes to food it doesn’t get much more fundamental than that, there are few things I find it more satisfactory to make, and few things that taste or smell better than bread fresh out the oven. When I knead dough I think of my mother doing the same thing in the kitchen of my childhood and all the generations before us over thousands of years – and until really very recently in all that history it would have been baked like this, often in community ovens. Bread feels like something almost magical again – it will be a while before I can raise any enthusiasm for a ready sliced loaf of supermarket white. I took this book with me to Shetland for holiday reading, I thought it might be vaguely appropriate and in between reading ‘The Hurricane Party’ and A. S, Byatt’s retelling ‘Ragnarok: The End of the Gods’ (coming later this year, really quite excited) I wanted to reacquire some knowledge of the myths beyond what I gleaned from the recent ‘Thor’ and what I remember from a book I read when I was 13. 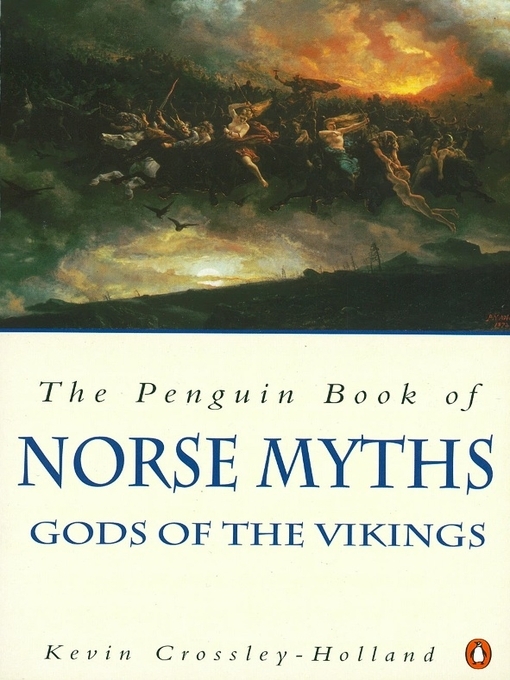 ‘The Penguin book of Norse Myths’ has sat on my shelf looking worthy for a number of years and in all honesty I didn’t have very high expectations for it (sorry Kevin Crossley-Holland I did you a grave injustice) assuming it would be a bit dry and possibly a bit of a chore to read through. As it turned out once I started I couldn’t put it down. There’s an introduction that I haven’t properly read yet though I did spend quite a bit of time studying the diagram of the world tree with attendant worlds. This is followed by the myths themselves which have been engagingly reconstructed from surviving sources. There are also excellent notes almost all of which I read; they detail what sources were used as well as some of the speculation and theory surrounding the myths, and finally a very useful glossary. I couldn’t have wished for a better put together book which was a pleasant discovery but the real bonus was the humour and poetry that Kevin Crossley-Holland brings to his telling which is surely very much in the approved tradition. I slogged through a good chunk of ‘The Orkneyinga Saga’ (which I’ve just noticed has had a very attractive facelift since I bought my copy) when I first met the Scottish one we talked about it over a cup of tea and I liked him so much that I went home, dug it out, and made a really valiant effort over it, but available as the saga’s are they aren’t always as entertaining as I feel they should be. This is still a primarily scholarly retelling but it has a real feeling of life to it as well. So much so that myth number 30 ‘Loki’s Flyting’ is almost indistinguishable from the retelling in ‘The Hurricane party’ (which was the best part of that book for me) it’s Kevin Crossley – Holland’s version I’ll read again. The telling of Ragnarok is a fitting climax for any book (and a brilliant starting point for a book too, especially set against the second world war – can’t wait for that new A. S. Byatt) Crossley-Holland starts it like this “AN AXE-AGE, A SWORD-AGE, shields will be gashed: there will be a wind-age and a wolf-age before the world is wrecked.” But at the end “There will be life and new life, life everywhere on earth. That was the end; and this is the beginning.” Terrifying and hopeful at the same time – a theme that runs all the way through the cycle along with a whole host of very human failings; no wonder so many writers have dipped in and borrowed over the years. My Oliphant experience is still pretty much confined to the Carlingford books but without reading the other eighty or so books she wrote I feel like I’ve got the hang of what she’s all about. I’ve also read enough to realise that Oliphant is one of the writers that I was sure existed but didn’t know how to find when I first went looking for women’s history. Common sense dictated that Austen, Eliot, and sundry Bronte’s didn’t spring fully formed from a vacuum but twenty odd years ago it wasn’t so easy to lay hands on evidence to the contrary. I might have discovered a whole lot more about women’s writing had I come across Elaine Showalter’s ‘A Literature of Their Own’ back then rather than when it was re issued by Virago fairly recently. However Showalter seems to have a low opinion of Oliphant (which I’m loath to forgive) and which seems to be a fairly common critical approach to her work, it’s one I don’t understand. 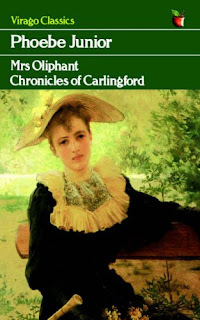 It seems to me that Oliphant has a lot to offer the reader both in terms of reasonably entertaining plot and engaging characters, as well as an insight into the lives of middle class women of the period. The books other heroine, Ursula May, has to learn to cook and keep house but despite a father capable of educating her himself, and brothers who it’s considered necessary to educate she and her sisters are left to learn what they can as inclination dictates. They lack Phoebe’s taste for self improvement as well as the opportunities that her relative wealth will bring. The future looks grim for the May girls if they can’t find husbands willing to overlook their poverty. Phoebe though has definite plans for her own future albeit with a difficult path to tread. She means to marry money, or at least the son of money, but money itself is quite sure he wants ‘better’ for his son. A wrong step on Phoebe’s part would mean not only a loss of reputation on her part but it would make her father’s position very difficult, so when someone is needed to go home to Carlingford to nurse old Mrs Tozer and guard the family interests Phoebe is keen to go although living with her grandparents will put her in a very different and much lower class to the one she’s used to. Ursula May the vicars daughter who befriends the dissenting ministers daughter occupies a higher social position but lacks her ambition, though she still has considerable independence of mind. She doesn’t overlook her father’s selfishness or bad temper and is clear sighted enough when it comes to the need to earn money, something that she wishes she could do, she’s also angry enough with her brothers determination to throw away a good position that he believes to be a sinecure reflecting that she’d quite happily hold it herself but that men keep all the good things for themselves. Clarence (the young man in question) wants to marry Phoebe partly because he to realises that she will be able to do these things for him (it’s probably an unlikely state of though for Clarence but an agreeable bit of fantasy from Oliphant). 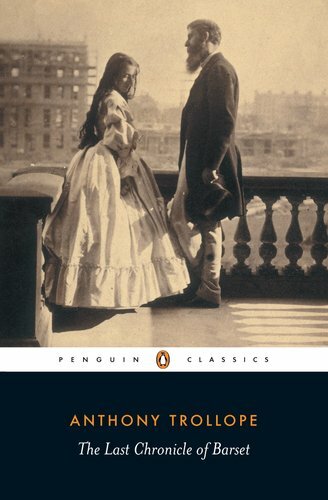 1) The book I’m currently reading – is Maria Edgeworth’s ‘The Absentee’, so far it’s living up to my expectations and proving entirely satisfactory. The young hero has discovered that the family fortunes aren’t as sound as they could be and is refusing to marry a plain heiress for her money. Prejudice against the Irish is being explored, and as an interesting counterpoint Edgeworth has thrown in a dodgy stereotypical Jew. What will happen next? 2) The last book I finished – was Kevin Crossley-Holland’s ‘The Penguin Book of Norse Myths’ which had been sitting neglected on the shelf for a shamefully long time. I had a thing for mythology as a child, and remember loving the Viking stories. Reading this I was surprised at how much of it had stuck with me and am now more inclined than ever to dig into the sagas. It’s also made me really excited about reading A.S. Byatt’s take on Ragnarok, though I still think I’ll wait for the paperback. 3) The next book I want to read – definitely the hardest (self posed) question to answer, officially it’s Anthony Trollope’s ‘The Last Chronicle of Barset’ because it’s high time I finished the series, but it’s a doorstep and there are a lot of other books that look tempting, have some sort of deadline attached (reading group), or are just shorter. I took this on holiday with me thus taking up case space that could have been occupied by more kippers on the return journey, and before anyone says it the idea of a kindle just doesn’t work for me. 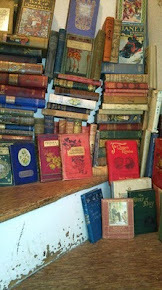 I suspect that it would just make it easier for me to ignore the books I mean to read but am slightly intimidated by. 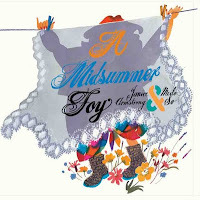 4) The last book I bought – ‘A Midsummer Foy’ twice. (Technically I think it’s also the last book I was given, as well as being the last book I gave...) A lovely book this one, an opinion endorsed by the lucky child whose copy arrived this morning (which will reassure all the other children I mean to send copies to if only they were old enough to understand what I was talking about / interested in listening to me witter on). Happily Janice and Meilo have a gift for communicating with children even if children baffle me and I them. 5) The last book I was given – was waiting for me when I got home and is a copy of Geraldine Holt’s ‘Cakes’ hot off the prospect books press. I feel pretty chuffed with this one; I was vaguely aware that it was coming out but figured that I had enough cake books. As so often happens at times like this it turns out I was wrong. First impressions are that this is an amazing book set to replace ‘How to be a Domestic Goddess’ in my heart and on my shelf, so a big thank you to Tom Jaine for sending me this and taking the sting out of returning to work. ‘A Midsummer Foy’ was a present from my father (he set a precedent with ‘The Grumpy Old Sailor’ which I’m willing to carry on). It’s a book that caught me totally by surprise because it’s unexpectedly personal to me, the story that Janice wrote and Meilo illustrated is something that most island children should have no trouble imagining – four children go out fishing and get caught in the fog and eventually land up on a mysterious shore. After a frankly terrifying journey through thick mist they find themselves in a grand hall where there’s an encounter with a suit of armour and the threat of being turned into sausages before it all ends happily with a banquet and dancing into the wee small hours. For Shetland children there will be no trouble in identifying the Island as Vaila – which is where I lived. Back in my time there (mid seventies) there were four children - myself, my sister, Emily, and Olaf. I didn’t get lost in a boat with Olaf until I was in my teens (but I think it still counts) and our parents held banquets throughout the summer. Those banquets definitely form some of the most vivid childhood memories I have – the days of preparation beforehand and on the night itself we would go up to our room from where we could watch through a balcony. The local fiddle and accordion band proved a very effective barrier to our creeping downstairs to join in (a group of beered up and to us quite frightening old men) but someone would generally bring us a plate of chocolate éclairs as a reward for quiet good behaviour. The very bedroom we slept in is illustrated albeit with a pink makeover that Kirsty, Emily, and I would have appreciated (although Olaf perhaps not so much). Vaila’s current owner is the inspiration and heroine of ‘A Midsummer Foy’ (she says she’s never been painted so often with her clothes on) and I can’t help feel that this is a fitting tribute to her personality and hospitality (both of which are extravagant, marvellous and memorable). My own memories aside I think this is a brilliant book, the illustrations are every bit as good as you would expect of Meilo So, with just the right blend of actual and imagined and Janice’s story is equally magical if it describes your own experience or not (She looked most disbelieving when Kirsty and I told her it was all true). This is the second book in a planned sequence of four, but they need to make enough money to keep going so whilst I’ve done my bit (proud owner of one copy and purchaser of two more so far) if anyone reading this should be looking for a children’s book of exceptional quality and charm you couldn’t do much better than ‘A Midsummer Foy’. I seem to have the house to myself, the rain has started (after an extremely promising and sunny start to the morning) and I thought I could do worse than post about the virtues of being 60° North (reading a book is also tempting but the computer has a better view). The world is full of places that I want to visit but I keep finding myself spending free time and funds on coming back to this one place – each visit makes me more determined to return but the reasons change. Once these pilgrimages were driven by homesickness and people; school holidays here were great, far more sociable and far more exciting than anything on offer in our sleepy English village – just the right mix of novelty and familiarity. Returning as an adult for a week here or there when I’m generally at the end of my work tether though has far more to do with how bracing places like this are. 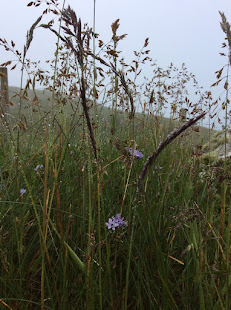 I partly allude to the weather which so far has been a mix of strong wind, blazing sunshine, rain that means it, and quite thick fog, but also to the change of perspective. 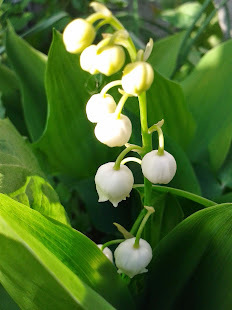 The May that I left behind in Leicestershire was lush with blossom and verdantly green (apart from lawns which looked August levels of parched) everything was growing with what will look like vulgar opulence when I get back. Stepping off the plane at Sumburgh we felt like we had stepped back a couple of months. Winter browns greys and ochre’s are still very much in evidence in a landscape thin on trees and big on rocks. Closer inspection does however reveal that spring has sprung and summer is almost here. The Tern’s possibly arrived on the same flight (dad swears they’re a couple of days late but we’ve seen plenty now) but other migrants are decently settled in – Oyster Catcher’s and Lapwings (I think both migrate) are the most evocative sound wise (Shetland countryside sounds like roaring wind with a mix of bird calls and sheep bleats, it smells of something indescribably sweet and floral with top notes of pony, sheep, seaweed, wild thyme and occasionally peat smoke, it tastes slightly salty.) Red throated divers are adding a bit of wild romance and a big ginger dog Otter made an appearance – Otters have an undeniable charisma about them and this one despite his strawberry blonde coat was no exception. There is as you might have gathered no shortage of impressive wildlife, but as much as I like scuttling after Otters and throwing myself into bogs to get a better look at a pair of divers (or to avoid being mobbed by Bonxies) that’s all window dressing. People aside what brings me back and back again is the way this place makes me look at things. Literally look (as opposed to metaphorically because I couldn’t say that and not feel like a prat without a few stiff gins in me) a view which is brown and unappealing from a distance transforms on close inspection. I have never seen so many primroses; there are acres of them pouring down the hillsides in some sort of ridiculous yellow stream. 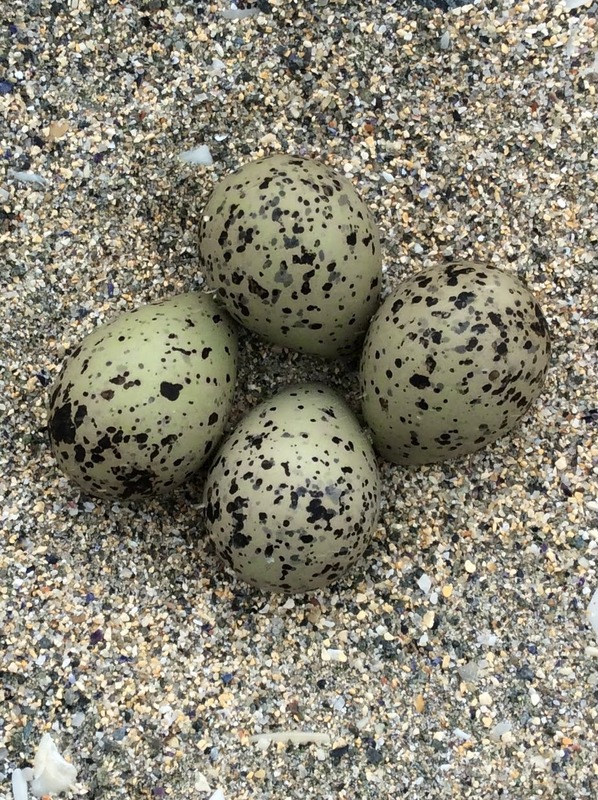 They are tiny, delicate, perfect and miraculously immune to sheep, rabbits and the wind. There are also violets - a lot of violets in every imaginable shade from a very sophisticated smoky grey through amethyst and into a proper deep violet, also tiny and invisible until you’re on top of them when you suddenly realise that they’re everywhere all of which is quite charming in the manner of a Pre Raphaelite painter showing off just how much intricate detail they can cram into a picture. I should be packing but there’s a fascinating programme about lighthouses on which is much more attractive than finding clean clothes or attempting to fix the mysterious leak that has suddenly developed under the kitchen sink, the Scottish one who is staying behind has promised to come round and fix it in my absence if it looks like it’s going to be a problem – sometimes people say just exactly what you most want to hear. Fingers crossed his good offices won’t be required, I waved a spanner (or possibly a wrench, I can’t tell the difference) at the offending pipe work and the drip seems to have stopped for now. But that is not the purpose of this post. 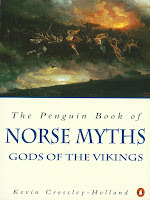 For the last few weeks the (reading) fates have been pointing me in the direction of all things Norse and mythological. There was the not quite for me experiment with ‘The Hurricane Party’ which is based on the Edda (ancient Icelandic telling of the myths), and then there’s A.S. Byatt’s contribution to the myth series coming out later this year ‘Ragnarok: the End of the Gods’, it’s apparently highly autobiographical and set against the backdrop of the Second World War. I’m a Byatt fan anyway add in the myth cycle that captured my imagination more than any other as a child and – well I’m mildly enthusiastic about this book, although I’ll probably wait until the paperback comes out because if I got it in hardback the soft cover would inevitably be in the shops before I actually picked it up. This does mean that I’ve got extra time to read up on the whole cycle from the bit with Audumla the cow licking the father of the gods out of the ice to the binding of Loki and Ragnarok. I’m also off to Shetland next week where all things Viking are generally smiled upon so it may be that this will make perfect and appropriate holiday reading. It was with this in mind that I was happily browsing amazon when common sense prompted me to check my own bookshelf before where I found far more than I remembered – including an ‘Edda’, and possibly more readable, ‘The Penguin Book of Norse Myths’. I think these are probably books bought on previous Shetland trips and are the whole reason I love my little library; something will sit forgotten in a corner for years and then all of a sudden be exactly what I want all ready and waiting for me. And in the interests of full disclosure I have to admit going to see Thor this afternoon. It wasn’t exactly great, but it was mildly entertaining - though I’m not sure what Anthony Hopkins and Kenneth Branagh were thinking but I imagine it involved money. It was however the final push that prompted me to read the real thing. ‘The Perpetual Curate’ should be followed by ‘Miss Marjoribanks’ which was actually my first encounter with Oliphant. 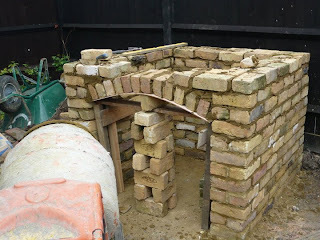 I read it not long before I started blogging and wrote about it not long after but the details are a now a little hazy. I remember thinking it was a great book, and being reminded strongly of Austen’s ‘Emma’. 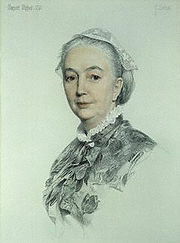 Since then I’ve reacquainted myself with Wilkie Collins, discovered Mary Elizabeth Braddon and read Mrs Henry Wood’s ‘East Lynne’. 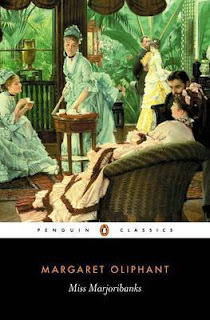 I’ve also started my own personal Trollope odyssey, read a few dozen short stories by Dickens and his friends and flirted with Sir Walter Scott and Maria Edgeworth (strictly speaking from a somewhat earlier period but Oliphant mentions both of them so I think they’re relevant). In short I’m beginning to get an idea of how much I don’t know about Victorian fiction. I did think about re reading ‘Miss Marjoribanks’ as part of this visit to Carlingford but decided against it, partly because it’s a longish book and I have other priorities for my time at the moment and partly because some of those priorities are to read a few more of Oliphant’s contemporaries; when I go back to ‘Miss Marjoriebanks’ I want it to be with a solid basis for evaluation. 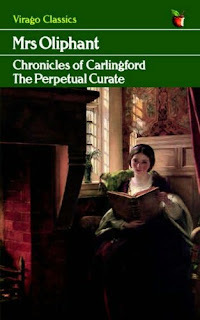 In my last post I said I thought Oliphant exceeded Trollope – I’ve read about six books from each author and as they were both prolific that’s a small sample but so far Carlingford has the edge on Barchester and I think this is because of the way that Oliphant tackles her word count. 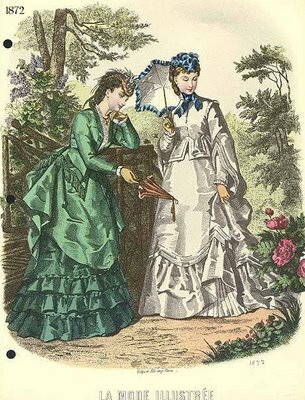 Both had to turn in enough material to satisfy magazine commitments and fill three volume novels, but where Trollope seems to get bogged down in endless and eventually tedious repetition of the same point Oliphant introduces sub plots and running themes – or at least she does after ‘Salem Chapel’ which relies a little too heavily on sensationalism and blatant stalling. 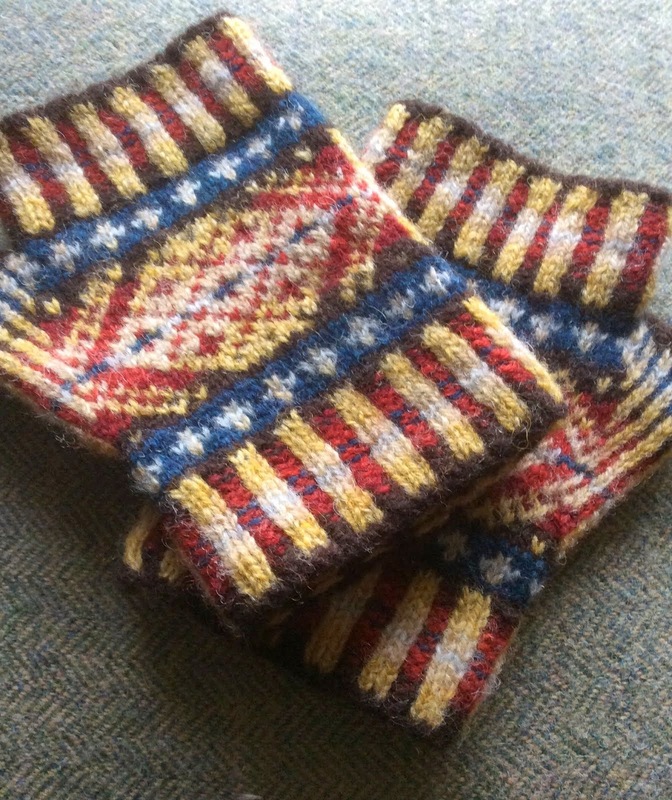 One of the things that make ‘The Perpetual Curate’ such a delight is Mrs Morgan’s carpet. It’s introduced to proceedings again and again, and each time more effectively. Mrs Morgan has waited ten long years to become a wife, a wait that she’s increasingly aware of as time wasted. The man she made an idol of has proved to have feet of clay, her youth has gone and with it much of her beauty and for what? 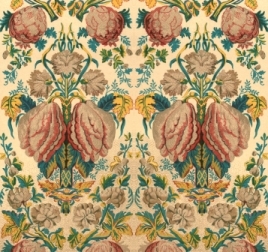 For a carpet that she cannot abide (see Wuthering Expectations opinions on the carpet as that’s where I started off on this track) and life with a man who has grown stubborn and set in his ways. Not by any means a bad man, possibly a man who is more lovable for his imperfections, but there is an undeniable feeling that Mrs Morgan’s happiness is destined to centre as much on her horticultural efforts as it is on her husband, and frustrations that youth may have shrugged off weigh heavily on her shoulders. The carpet is a symbol of all that’s imperfect, all the things not worth waiting for, and all the reasons not to wait – a visible reminder that patience isn’t always rewarded as it should be which is another theme that runs throughout the book. The other very visible and equally tasteless encumbrance to Mrs Morgan’s domestic bliss is her husband’s curate. A man who will persist in calling at dinner time, especially when his favourite All Souls Pudding is on the menu (I admit to speculating about what this could possibly be – and have settled for imagining a sort of Cabinet Pudding as described here). It has to be admitted that the curate is a trying individual who checks all Mrs Morgan’s efforts to snub him by blandly ignoring them, thinking that by doing so he is doing his rector the favour of passing over the fact of his wife’s bad temper. Whilst reading the carpet and curate interludes feel like comic relief but right at the end all these petty frustrations are put to use to make the final outcome of the novel ring true. 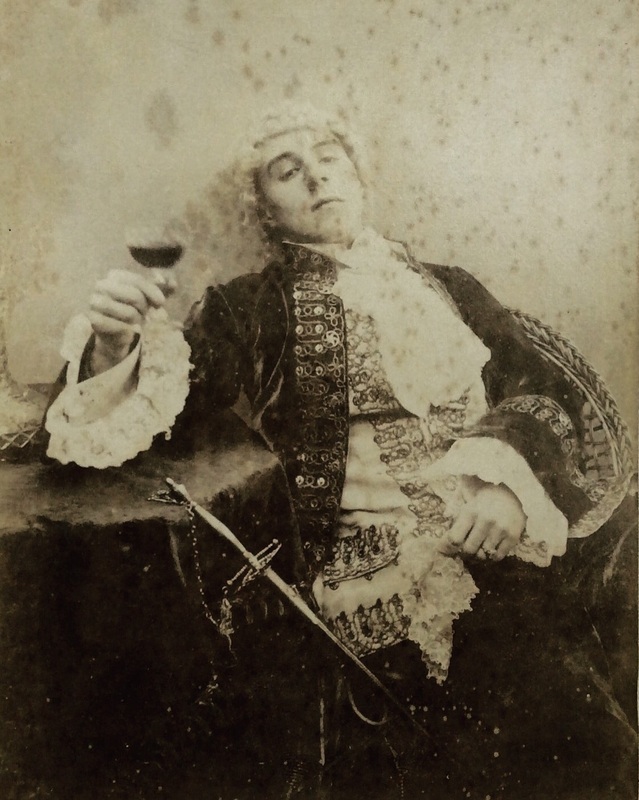 Other sub plots and teasers such as Gerald’s defection to Rome, or Jack’s delinquency are made use of to provoke the reader into a state of moral indignation which is a far more effective page turner than the romance between Frank and Lucy which will inevitably come out alright despite the threat posed by Rosa Elsworthy.